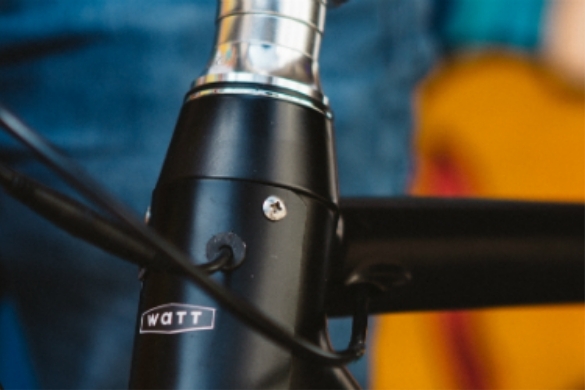 The WATT Bikes are designed so that no visible battery is needed. 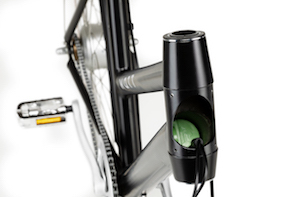 The battery is fully integrated in the down tube of the frame. Charging is done via a connection on the side, where you can also have a USB connection. How far can I ride with a full battery? 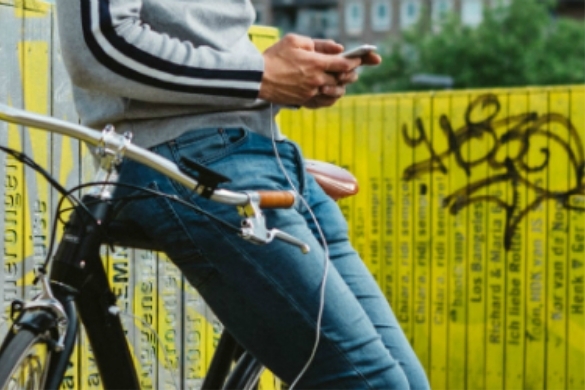 How far you can cycle with a full battery (the range) depends on a number of factors. It depends on your own weight, the support position you choose and the circumstances in which you cycle. In case of a strong headwind, for example, and support position 5, the range is smaller than on a flat road with wind and support position 1. In general you can assume that you can cover a distance of between 30 and 60 kilometers. More than enough for daily trips in the city. You charge a fully discharged battery in 3 hours. In practice, you almost never empty the battery. 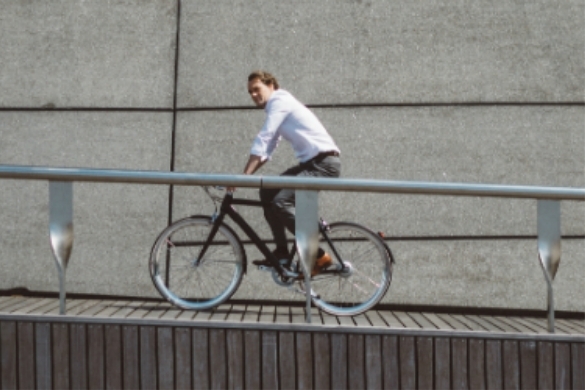 On average, the Dutch cycle about 2.8 kilometers per day. 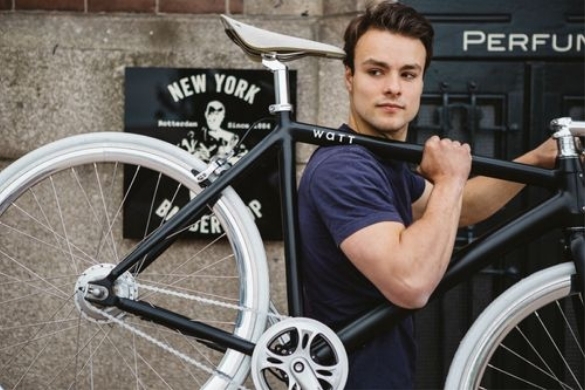 But even if you cycle a multitude of bicycles, you do not get 40 to 70 kilometers every day. So you can go a few days ahead with a full battery. How do I keep the battery in good condition? To get the highest possible return from your battery, here are some tips. FULL TIRES: Make sure your tires are full and your bike is well maintained. 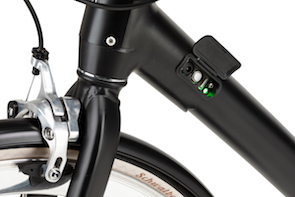 The less resistance the farther you can cycle electrically. FIRST USE: If you take the bike out of the box, it is advisable to first cycle it fully loaded. Drive the battery half empty the first few times and then charge it again. This gives the best return in the longer term. AVOID CONTINUOUS LOADING: The included charger is economical with energy and with your battery. Charging the battery is not possible. But of course you do not have to load but 10 minutes is cycled with a full battery. 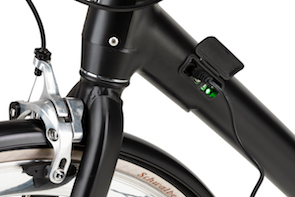 The bicycle battery does not have to be constantly on the charger if you do not use the bike for a while. The charger indicates when the battery is full. Then disconnect the charger from the bicycle. PREVENT UNLOADING YOUR BATTERY: Try to avoid emptying the battery completely. This is not only annoying for yourself, but also not conducive to the life of the battery. IN WINTER: If you do not use the bike for a long period of time, it is wise to bring the battery back to tension once in a while. The batteries do not drain quickly but can not hurt to make a ride in the winter and then re-energize the battery. How long does the battery last and can I replace it? The average lifetime of a battery is three years. Keep in mind that the range of a battery can then decrease. However, replacing the battery is done easily. You can do this yourself or have it done by a bicycle repairer. You can order a new battery here online.